MOSCOW (Sputnik) - Seventeen years ago, on September 11, 2001, al-Qaeda* (terrorist organization, outlawed in Russia) suicide bombers hijacked four passenger planes in the United States, sending two to New York's World Trade Center towers and the other two to the Pentagon and, presumably, the White House or the Capitol. All the airplanes, except for the last one, reached their targets. The fourth plane crashed in a field near the town of Shanksville, Pennsylvania. The number of casualties in the terrorist attacks on September 11 amounted to 2,977, including 343 firefighters, 60 policemen and foreigners from 92 countries. Among the nineteen terrorists who died in the attacks, there were Egyptian, Lebanese, Saudi and UAE citizens. At 8:46 a.m. local time (15:45 GMT), an AA-operated Boeing 767 with 81 passengers and 11 crew members on board en route from Boston to Los Angeles crashed into the North Tower of the World Trade Center (WTC) in Manhattan between the 93rd and 99th floors. At 9:03 a.m., a United Airlines-operated Boeing 767 with 56 passengers and nine crew members en route from Boston to Los Angeles crashed into the South Tower of the World Trade Center between the 77th and 85th floors. At 9:37 a.m., an American Airlines-operated Boeing 757 with 58 passengers and six crew members on board en route from Washington to Los Angeles, crashed into the Pentagon. At 10:03 a.m., a UA-operated Boeing 757 with 37 passengers and seven crew members en route from Newark, New Jersey, to San Francisco crashed in a field in southwestern Pennsylvania outside Shanksville, 200 kilometers (124 miles) from Washington. As a result of a severe fire, the South Tower collapsed at 9:59 a.m., and the North Tower collapsed at 10:28 a.m.
At 6:16 p.m., the 47-storey World Trade Center building located next to the WTC towers also collapsed. The exact amount of damage caused by the attacks is unknown. In September 2006, President George W. Bush said that the damage caused amounted to at least $500 billion. On November 27, 2002, an independent commission formed to investigate the September 11 attacks (9/11 Commission) was created in the United States. On July 22, 2004, the commission issued a final report on the circumstances of the tragedy. One of the main findings of the 600-page document was the recognition that the perpetrators took advantage of "deep administrative failures" in the US government. Six suspects were arrested in 2002 and 2003 and spent several years in CIA prisons. In 2006, they were taken to the Guantanamo Base in Cuba. 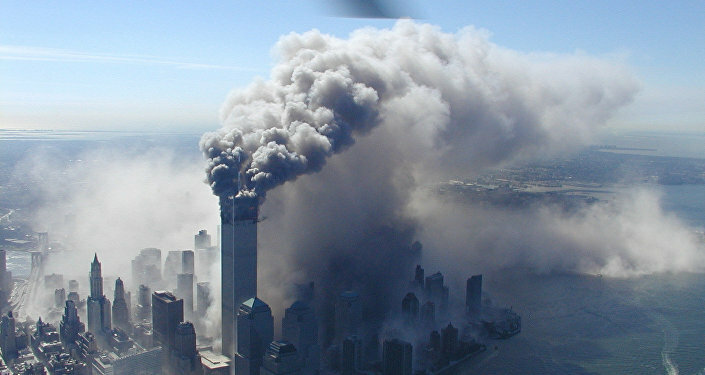 In February 2008, the US Defense Department charged six inmates with murder and war crimes as part of investigation of the September 11 attacks. 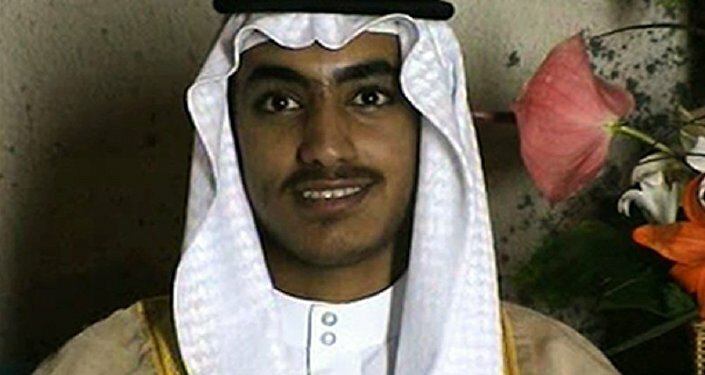 Charges were brought against Khalid Sheikh Mohammed, who according to the report of the 9/11 Commission was the central figure in the 9/11 attacks; native of Yemen Ramzi bin Shibh who, according to investigators, was in charge of al-Qaeda logistics in Hamburg, Germany; Mohammed Qahtani, who on September 11, 2001, was supposed to be the 20th hijacker on four US planes; nephew of Khalid Sheikh Mohammed and native of Kuwait Ali Abdul Aziz Ali, and Mustafa Ahmed Havsavi and Walid bin Attash from Saudi Arabia. As was revealed in the investigation, the latter three were Khalid Sheikh Mohammed's henchmen, doing the legwork involved in preparing for the terrorist attacks that the Pakistani planned. In May 2008, the Pentagon withdrew charges against Mohammed Qahtani. After then-US President Barack Obama ordered to suspend the military prosecutor's office activities in Guantanamo and promised to close the institution in January 2009, the military authorities had to drop their charges. However, the ex-president's promise remains unfulfilled. With no support in Congress, Obama ordered to resume military trials for the Guantanamo terrorist suspects in early March 2011. In early April 2011, US Attorney General Eric Holder confirmed that Khalid Sheikh Mohammed and four other suspects will be brought not before a US civil court, but rather a special Guantanamo military commission. On May 31, 2011, the US Military Prosecutor's Office filed charges against five suspects, including Khalid Sheikh Mohammed, again accusing them of being involved in the terrorist attacks of September 11, 2001. On May 5, 2012, a military court formally charged five men suspected of involvement in the 9/11 attacks. They were charged with conspiracy, an attack against civilians, intentional infliction of bodily harm, murder, a violation of the laws of war, causing destruction, hijacking a plane and terrorism. All five defendants refused to plead guilty. In July 2014, a military court in Guantanamo ruled that the trial of one of the five accused of involvement in the terrorist attacks — Ramzi bin Shibh — should be carried out separately due to a "serious mental illness" diagnosed by US military doctors. In 2002, September 11 was made Patriot Day in the United States. Since 2009, following the approval of Act 111-13 of US General Law, this date has been referred to as the National Day of Service and Remembrance. On September 11, 2011, the National September 11 Memorial was opened in New York City to pay tribute to the victims of the terror attack. The memorial consists of two pools located in the footprints of the former Twin Towers with engraved names of the victims. The September 11 Museum was opened in May 2014. In November 2014, One World Trade Center, the main building of the rebuilt World Trade Center, was opened on the northwest corner of the WTC site. In September, 2016, the US Congress passed a law that allows victims to pursue a lawsuit against Saudi Arabia for allegedly supporting hijackers responsible for the September 11, 2001 terror attacks, as most of the terrorists involved were allegedly Saudi nationals. The first lawsuit was filed in October of the same year. In March, 2017, families of 9/11 victims filed a new lawsuit against Saudi Arabia for its alleged support of al-Qaeda terror group and facilitation of the terror attacks. In April, it was disclosed that over two dozens of US insurance companies filed lawsuits against two Saudi banks and companies linked to Osama bin Laden, demanding at least $4.2 billion. In August, Saudi Arabia addressed Manhattan Court to dismiss 25 claims, citing the lack of evidence of terror links.